Whiskey Discovered in 121-Year-Old Time Capsule, But Would You Drink It? 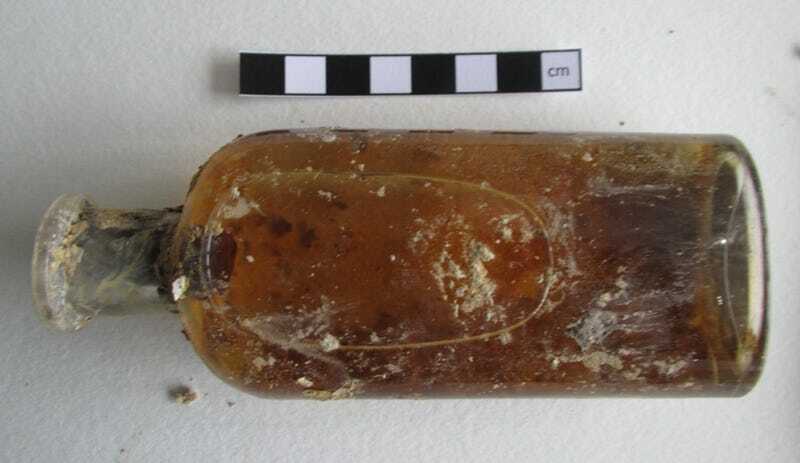 Construction crews in Scotland just discovered a time capsule from 1894 containing what they think is a bottle of whiskey — leading the literally dozens of time capsules aficionados in the world to ask themselves the obvious question: Would I drink it? The capsule, a rusted metal box that is clearly showing its age, was found inside a cornerstone in the Ruthven Road bridge just outside of a town called Kingussie. And, of course, the box contains plenty of the things we’ve come to expect from time capsules, like old newspapers and even a paper scroll. But the whiskey is obviously the real wild card. Unlike some wines, whiskey doesn’t improve with age once it’s been bottled. The aging process of, say, an 18-year-old Glenlivet scotch refers to the number of years that the delicious brown liquid spent in the barrel before it was bottled — not the number of years it’s been sitting around in glass. Even if the whiskey is drinkable, which it very well could be in the broadest sense of the term, there’s no way to tell for sure whether it will taste very good. In 2007, three bottles of whiskey dating to Ernest Shackleton’s failed 1907 expedition to the South Pole were discovered in the Antarctic. Shackleton’s team had abandoned them at Cape Royds in Antarctica but the bottles were returned to Scotland in 2007 for examination and even a taste test. Scientists sampled the whiskey and even tried to recreate it — a reportedly more peaty and smoky flavor than your average Scotch. This more recent time capsule and its contents have been donated to the local Highland Folk Museum, but there’s no word on whether anyone will get to sample the alcohol. In this case, I have to admit that I’d drink the hell out of that bridge-whiskey. Highland Folk Museum, just give me a call if you need a taste tester.